1. It would be very difficult to get an accurate patient information. Imagine this..
Nurse: Please tell me your name? Nurse: Hmm, ok, …now I will need your date of birth. …but according to the patient’s companion, an “elf” .. “He is over 1700 years old! He was born about 270 AD in Asia Minor (Turkey). Nurse: Ok,…next question, where do you live? Patient: “Why, the North Pole, my dear.” Don’t you remember writing to me when you were 4 yrs old? Ho! Ho! Ho!! Patient: “I bring presents to good boys and girls on Christmas Eve”. HO, HO, HO!! Overweight, jolly male in red velour suit with white trim, wearing a red hat, white gloves, and black boots. Patient came to town in a sleigh pulled by 9 reindeers, one reindeer had a shiny nose. No food allergies, loves cookies and milk. Patient has an annoying habit of saying “HO, HO, HO”!!! Patient’s wife reports ” hypertension” only between Thanksgiving and Christmas eve. 3. 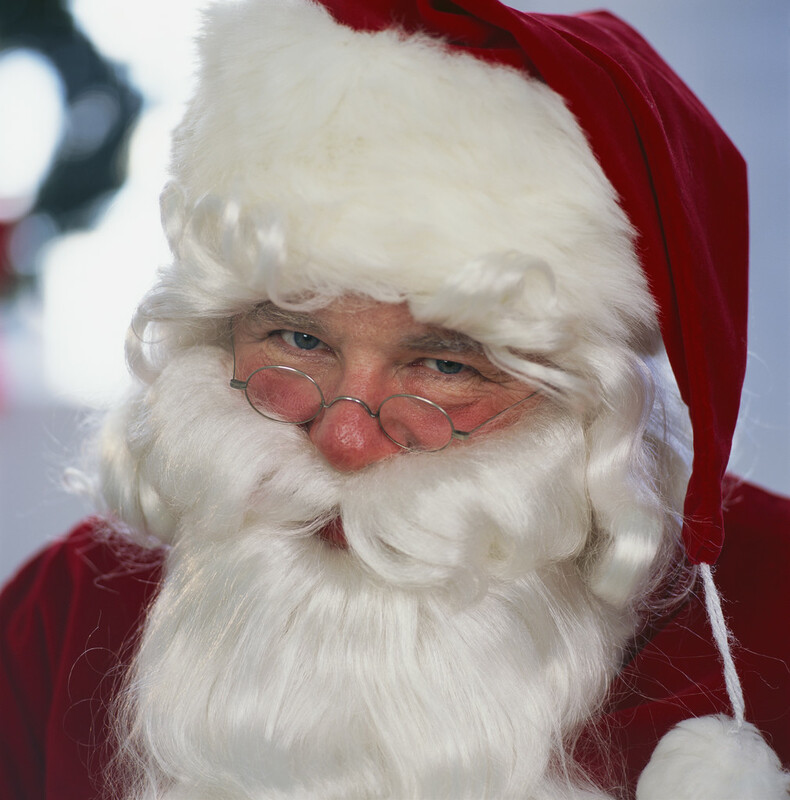 Don’t worry boys and girls – Santa is not ill. Doctors have encouraged Santa to loose weight, otherwise, he has no significant illness. After Christmas eve and his incredible journey around the world, carrying those heavy bags full of toys for good boys and girls, Santa experiences “dehydration” and perhaps some electrolyte imbalance. Mrs. Claus just want to make sure he gets some IV fluids before he goes to work!!! 4. I can’t imagine starting a PIV on Santa…that would be like starting an IV on your favorite celebrity or rock star!!! I’d be so starstruck, be afraid I might miss or blow his veins and end up on the “naughty” list!! HO! HO! HO!….Happy Holidays to all!! Oh yes…it’s that time of the year…again! What if Santa needed an IV? ← FAQ: Are you a new nurse? Nice creative post! Happy Holidays!